The Supreme Court ruled unanimously that a Virginia law banning marriage between African Americans and Caucasians was unconstitutional, thus nullifying similar statues in 15 other states. The decision came in a case involving Richard Perry Loving, a white construction worker and his African American wife, Mildred. The couple married in the District of Columbia in 1958 and were arrested upon their return to their native Caroline County, Virginia. They were given one year suspended sentences on condition that they stay out of the state for 25 years. The Lovings decided in 1963 to return home and fight banishment, with the help of the American Civil Liberties Union. A Northern Virginia high school that is removing Confederate Gen. Robert E. Lee's name could be renamed for an interracial couple. A 21-member committee appointed by the Arlington County school board is recommending that Washington-Lee High School be renamed as Washington-Loving. 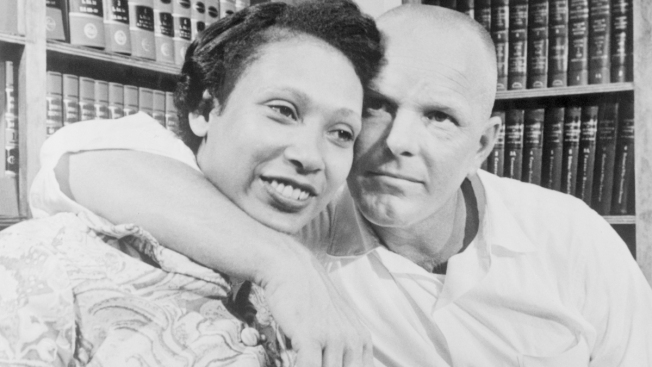 The proposed new name would honor Mildred and Richard Loving, a Virginia couple whose legal challenge led the U.S. Supreme Court to strike down the state's law banning interracial marriage. A second option proposed by the committee would be to rename the school Washington-Liberty. The school board decided earlier this year to remove Lee's name. The board will discuss the proposed new names at a meeting Dec. 20. Last year, neighboring Fairfax County renamed a high school that had been named for Confederate Gen. J.E.B. Stuart.